Due to the unusual anomaly of the Pistons frontcourt finding themselves ranked consecutively – a completely unintentional occurrence – it seems only fitting to discuss all three players together. After all, the fall of Greg Monroe and Josh Smith and the rise of Andre Drummond all boil down to one factor: this frontcourt just doesn’t mesh well. The strengths of each of the three big men simply don’t compliment one another enough for them to be effective playing together. Drummond is having a breakout season, averaging 12.7 points, a league third best 12.6 rebounds, and seventh best 1.8 blocks per game. However, his ability to score is strictly limited to getting buckets around the hoop. Of the 371 field goals he has hit so far this season, only seven of them have been taken from beyond 10 feet away from the bucket, hitting only one of them. Drummond is a tremendous finisher when he does get the ball at the rim, shooting at the third best rate in the league at 60.5%, but when he plays with Monroe, they clog the lane, which leads us to the next problem. Josh Smith is shooting a career high number of threes (3.8 per game), but is shooting them at the worst percentage of his career since his rookie year (23.9%). Smith is at his best in the open floor, when he can attack the rim and get good looks around the basket. Even during this season, where is has found himself under enormous scrutiny for his inefficient shooting, he has hit a super efficient 69.2% of his shots at the rim. The problem is he is shooting a combined 31.7% from beyond three feet of the bucket. That is a big problem. However, not all of the blame can be put on Smith’s shoulders. Yes, he is shooting a ridiculous amount of threes at a stupidly inefficient rate. But, with Monroe and Drummond occupying the paint, Smith has been forced to get looks further and further away from the basket. 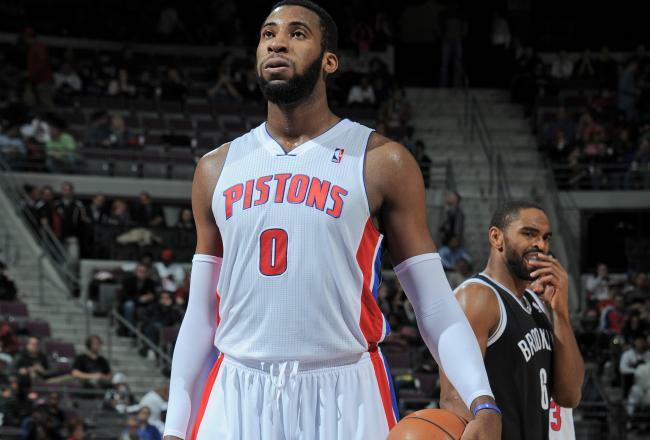 Monroe is experiencing similar problems adjusting to the emergence of Drummond, and his numbers are down across the board, the first statistical decline of his career. While detractors can blame Smith’s inefficient shooting for his statistical slump, Monroe’s down year is more due to him not shooting the shots out of his range that Drummond’s presence under the rim is forcing him into. 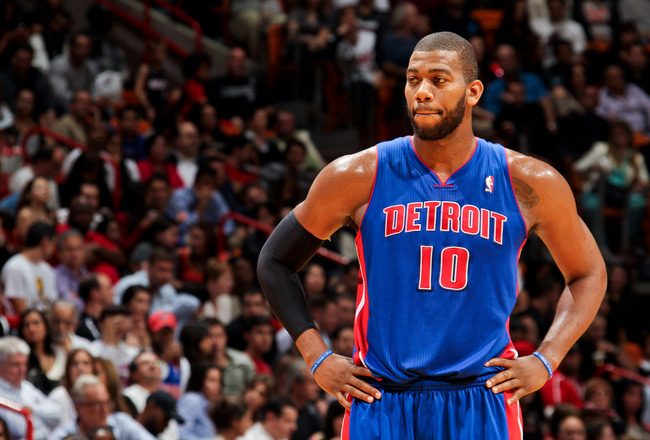 There is still time left in the season for the Pistons to find some synergy in their frontcourt. 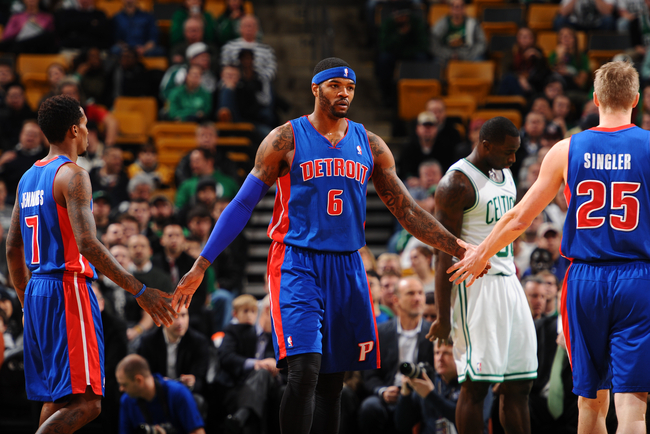 However, fans must be wondering whether a change in head coach – Maurice Cheeks was a great point guard in his day, but you have to wonder whether a former big man similar to Kevin McHale would have been a better choice to lead Detroit’s frontline – or a trade – preferably for a scoring two guard and defensive-minded backup centre – could turn their season around and free up their frontcourt. LaMarcus Aldridge and Damian Lillard might get all the attention in Portland, but the Trailblazers tremendous start would not have been possible without the play of Nicolas Batum. The sixth-year French forward is averaging a respectable 13.2 points, 6.7 rebounds (a career high and sixth amongst small forwards), 5.7 assists (also career highs, and behind only LeBron James at the three) and a block per game. 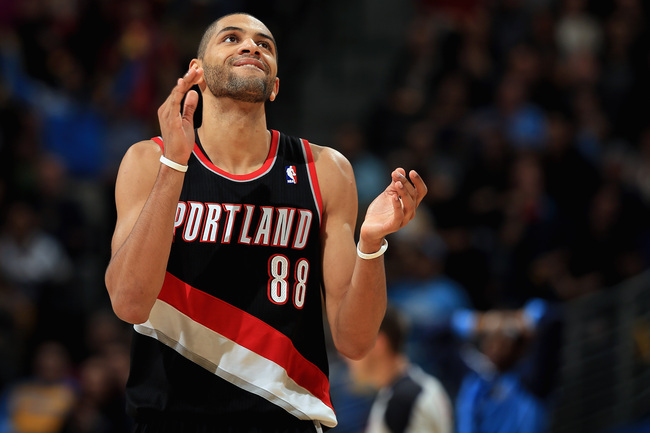 But it isn’t Batum’s statistical impact that has rocketed him up the rankings. The Trailblazers are one of the leagues best scoring teams, thanks to the aforementioned Aldridge and Lillard, but they have struggled on the defensive end at times to say the least. So, Batum’s defensive presence on the perimeter that has been indispensible for Portland and the occasionally defensively-challenged Aldridge. He might not rack up the steals or blocks every night, but Batum is often tasked with guarding the opposition’s best player night in and night out. On top of his defence, Batum is the Blazers’ “Mr Do-It-All”, capable of producing a trible-double or 5×5 game any night. The Western Conference All-Star’s frontcourt is too crowded for Batum to earn his first selection this season, but that wont bother him as long as he can continue to help Portland hold onto home court advantage for the postseason. When his injured knee kept Derrick Rose off the court for the entire 2012-13 NBA season, Joakim Noah willed the shell of the Chicago Bulls roster into the playoffs with his inspired play. Noah’s hustle and energy are second to none in the league, and it was that determination to win rather than his statistics that earned him his first All-Star selection last season. Unfortunately for the Bulls, this season has taken a similar turn to the last. After Rose’s comeback was cut short by another knee injury, the Bulls have again turned to Noah to inspire their depleted squad. Since losing Rose, Noah has steadily taken up a greater role for Chicago. 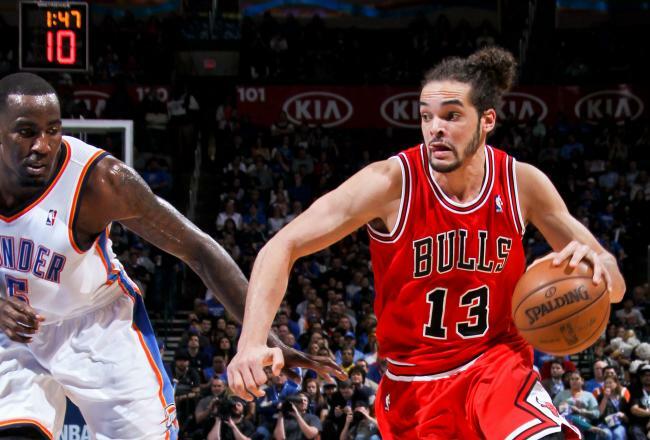 Before the injury, Noah was averaging an unexceptional 9.5 points, 7.5 rebounds and 3.4 assists through November. Fast forward to December and those numbers increased to 12.8/11.9/3.4, and through 10 games in January, the former Gator is putting up an incredible 14.9/14.7/5.2 to go along with 1.9 blocks and 1.3 steals per game. Noah would be a lock for the Eastern Conference All-Star team if the NBA hadn’t removed the centre position from the ballot, with Roy Hibbert the only other true centre to compete with in the East. However, with the likes of Carmelo Anthony, Paul George, LeBron James and Chris Bosh also in contention for Eastern Conference frontcourt selection, it will be no easy task for Noah to get the nod. But if he keeps improving at the rate he has over the first four months of the season, don’t be surprised if he does.